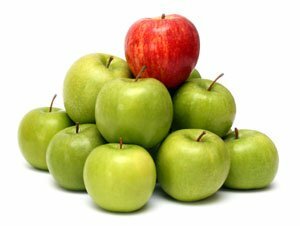 Can You Compare Apples to Apples? Two equine industry retailers (both privately owned) engage customers through their preferred Social Media (SM) platforms. Let’s take a moment to briefly compare and contrast (differentiate) their SM efforts. Product Line: Over 100 brand names…everything horse related from gifts to equipment to clothes, with a niche push in Eventing supplies. SM Platforms engaged: Web Site, FaceBook, Twitter, YouTube, Pinterest. Important to note…every BoB SM platform offers a response mechanism. An indicator of their yearning for community development, comments and feedback. BoB Facebook (FB-over 5k Likes) offers inside deals, discounts for competitors and instructors, a link to Pinterest and general horse/product related news and personal posts. Interesting button that says “Suggest an Edit”…interesting engagement tool. BoB Twittter (over 1k followers) is really well integrated with their other SM! BoB tweets… about info on their FB; to the Radio Eventing Show (Horse Radio Network) who BoB is a huge sponsor; about seasonal products; several times daily; to YouTube demo videos, etc. BoB engages a second, private URL called Tack of the Day.com(TOTD)! An energetic site (in CA) with only two discounted items a day. I assume BoB is selling older/extra inventory through TOTD or has some other business agreement. Many of their tweets send followers to TOTD. BoB’s You Tube has many videos mostly featuring employees discussing their product picks. These are fairly well done witth some pretty funny outtake/blooper videos too. I like the way they’ve included real riders/employees to discuss products. They are genuine and offer honest insight into wear ability, fit and cost. BoB’s Pinterest is relatively small with only 12 Pin Boards and 185 pins and121 followers. Board topics vary…seasonal, stuff they love (28 pins) , awesome stuff, stuff we carry (66 pins…mostly made up of product videos from their YouTube channel) and Aaawwhh stuff, etc. They do have several repins from industry online magazines. Pinterest is not well integrated, except for with FaceBook. 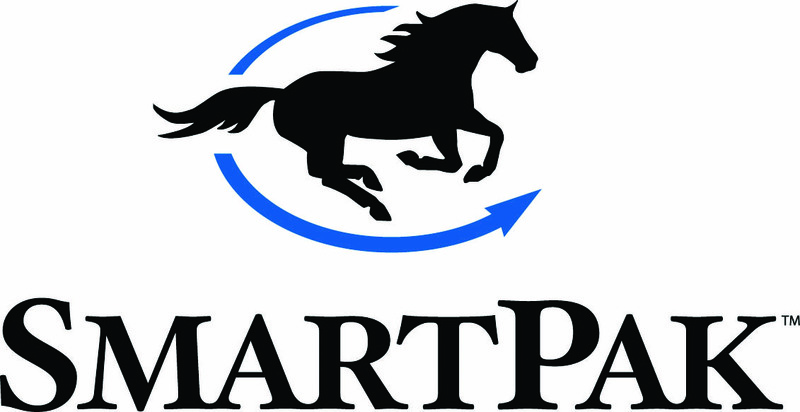 SmartPak (SP-Plymouth, MA) was started out of necessity…to find a better way to feed supplements. By buying in bulk, SP could offer customers a pre-measured/daily dose supplementing system (a smartpak) for the same price as buckets of retail supplements. Since 1999, and with a focus still on horse health/proper feeding, etc., , SP has grown exponentially and just in the last 3 years at a rate of 868%! They now have 175+ employees…”Our Smarts Are at Your Service.” They claim to be “the largest equestrian retailer in the US.” SP is VERY active with their SM and each platform is really well integrated. Product Line: Thousands of brand names…everything horse+ related (e.g. supplements, gifts, equipment, apparel, barn supplies, etc.). SM Platforms engaged: Web Site, FaceBook, Twitter, YouTube, Pinterest, Googleplus, Blogs, Webinars, RSS Feeds, SmartPak Networks (e.g. SmartPak Blog, Ask the Vet Blog by topic, Team SmartPak, etc.) Barn of the Month and other Contests too! SP has it all going on…it’s very well done and seamless. SP Facebook (FB-over 280, 200 k Likes) offers links to Pinterest and YouTube and its content is general horse/product related news and personal posts. SP Twitter (5,889 followers and 2,600+ tweets) A wealth of integrated data from all platforms and tweeting several times a day. SP YouTube (2,500+ subscribers/joined June 2009) Here SP offers wonderful employee reviews of products they’ve purchased and/or using. SP Pinterest (23 pin boards and 2300+ pins) These boards are interesting….some discuss horses and holidays, success stories, Smart solutions, etc. SP’s Google+ Account (605+ followers) is there…just there, with straight forward content. Links access to it through the SP blogs home page. SP Blog opens to many topics listed and all kinds of helpful information. SP brings in experts to help their customers understand a health concern and hopefully this will prompt a sale or two. RSS Feeds, Webinars, etc. are also included through the blog link. Despite the different product push (Eventing v. Supplements) between BoB & SP, SP is still way ahead of BoB with their SM engagement efforts. SP has many, many communities and “conversations” going on throughout their extremely well integrated SM platforms. This entry was posted in Equine Related and tagged Bit of Britain, Differentiation, SmartPak, Social Media by KristieVV. Bookmark the permalink.